As more and more millennials enter the workforce, companies are learning that this group has expectations and needs that are far different from those of previous generations. Efforts to attract and retain talented millennial employees have meant that corporate culture in the finance and accounting industry has shifted into more of an employee-focused arena, and any employer that continues along at the same old pace might find themselves struggling to get the attention of the millennial talent pool. So, what are some of the best ways to ensure organizations successfully find and keep millennial employees? Millennials are often accused of not wanting to work their way up in a company, but that’s not necessarily the case. It’s more so that the amount of time they are willing to spend in any one position or level is often less compared to employees from past generations. Millennials look for professional development opportunities to keep up with fast-paced changes in technology and industry standards, and they value employers that are willing to help pay for these opportunities. Companies that have clear, structured professional development programs (that include covering the cost of part or all of an employee’s continued education) are seen as more progressive in the eyes of millennial workers. This can be a huge competitive advantage when hiring. Just be aware that with additional education, millennials will expect their compensation to reflect their continued growth. Read: “What Millennials Want from an Accounting Job” for tips on giving millennials what they’re looking for. Mentorship is also hugely important to millennials, especially as they work their way towards leadership roles. 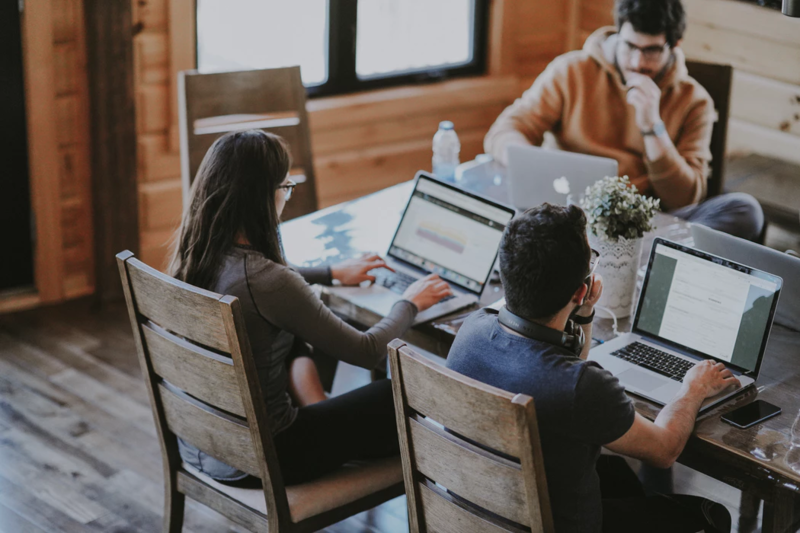 Millennials tend to have loyalty more towards their managers than towards the company itself, so developing a strong relationship between leaders and millennial employees is key to retaining this new generation of workers. Rather than micromanaging/directive leadership, millennials prefer a more collaborative approach with plenty of one-on-one meetings that involve open discussions and feedback. Giving millennial employees room to figure out how they would like to complete a task and helping them understand how their work fits into the bigger picture are two great ways to make them feel involved and valued. Read: “Why Millennials Quit Their Finance or Accounting Job” for more insight into how to retain millennial workers. Aside from financial compensation, work/life balance is the next most important factor in what makes a millennial employee accept and stay in a job, according to a 2016 survey conducted by Deloitte. Flexibility is attractive to the millennial talent pool, whether it be in work hours, role responsibilities, contracts, or work location. Companies that offer work arrangements that better fit into an employee’s personal situation and preferences are more likely to attract and retain high-talent millennials. Finding ways to allow employees to have flexible start times, to work remotely from their home office, or to change role focus every so often will help your company present a progressive, employee-focused culture that many millennials will take notice of. As shared in the Deloitte study mentioned above, millennial employees surveyed who were working in high-flexibility companies were twice as likely as those working in low-flexibility environments were to say that flexibility has a “positive impact on organizational performance and personal well-being”. Personal values hold great meaning to millennials, even in a work setting. The Deloitte survey found that “61% of senior millennials (those with higher ranking job titles) chose not to undertake a task at work because it conflicted with their values”. Working to understand what drives millennials and what values they incorporate into their daily lives is important in determining how to keep them engaged and satisfied in the work they’re doing. If they are able to feel that the work they’re doing is for the greater good, is fair, and is meaningful, millennials will be much more motivated to perform their best. Companies should consider how the corporate goals established by the organization match up with the values their millennial employees hold as important. Things like sustainability, integrity, community contribution, and customer care are all areas that could be reviewed. The changing face of the workforce means that companies need to make changes to adapt in order to stay competitive in the millennial hiring game. Creating a more employee-focused environment, with professional development opportunities, mentorship and feedback offerings, and greater flexibility when it comes to work hours and location, can help an organization attract millennial talent and encourage it to stay. Learning more about the values millennials hold can also help a company align its operations with things that will motivate and inspire the newer generation of employees.